Georgia "Imogean" Stroder, age 87, of Marble Hill, MO; passed away, on Saturday, September 28, 2013 at the Jackson Manor. She was born to Sydney Burette and Barbara Bollinger Crader on February 12, 1926 in Bollinger County. 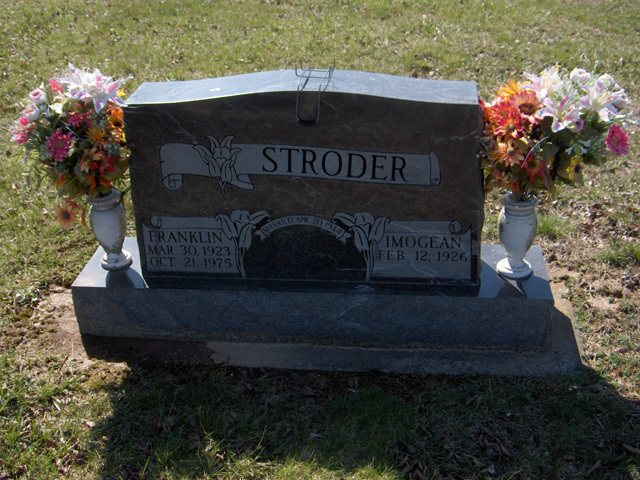 She and Franklin Stroder were united in marriage on April 20, 1944 and he passed away on October 21, 1975. Imogean spent her life taking care of her family. She was an avid Saint Louis Cardinals fan, loved Elvis Presley and Michael Jordan. She spent the last 38 years helping her daughter Cathy (Mike) Miller and son Ronald (Sharon) Stroder raise their families. 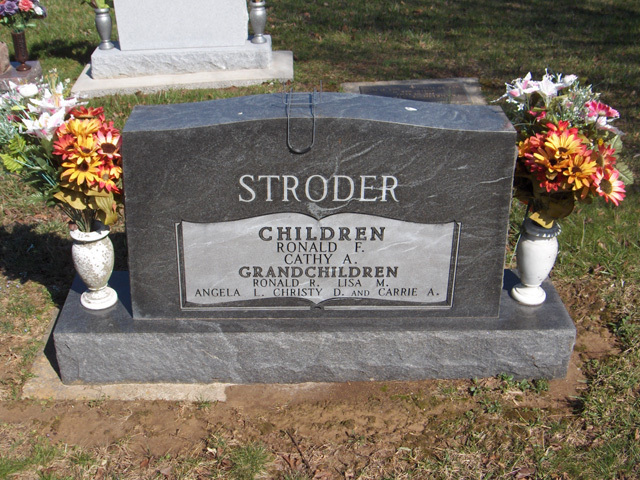 She was very proud of her grandchildren Ron (Laura) Stroder, Lisa Statler, Christy McLeod, Angie Fields and Carrie (Cory) Grojean. She was very close to her great-grandchildren, Erin (Caleb) Daughhetee, Jacob and Kyle Colyott, Caylee McLeod, Courteney King, Lexi Grojean, Andrew Fields, Weston Stroder, Natalie and Lauren Fields, Trustin Grojean, Erica Fields. She was a great-great-grandmother to Ellie Mae Daughhetee and her many many grand dogs. She was preceded in death by her parents, her sisters Helen Hurst, Hester Elledge, and Modean Filer. Visitation will be Tuesday, October 1, 2013 from 10 AM to 1:00 PM at the Liley Funeral Home in Marble Hill. Funeral services will be Tuesday, October 1, 2013 at 1:00 PM at the Funeral Home with Rev. Gerald Huff officiating. Burial will follow in the Bollinger County Memorial Park Cemetery near Marble Hill, MO.